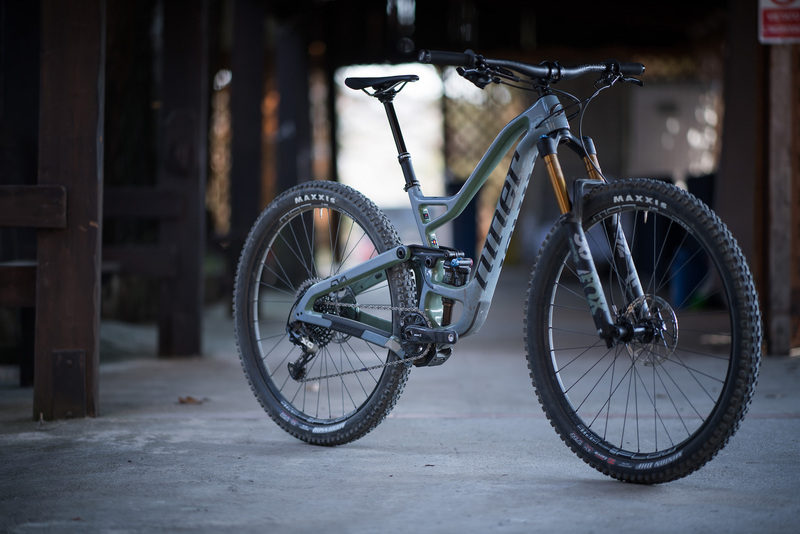 Last month Niner presented the new RIP 9 RDO model , both in their traditional 29-inch version and in a brand new 27.5-inch version. At the Mountain Connection Winter in Massa Marittima we had the opportunity to test both versions and to discover further details thanks to the insights of Phillip Lucas, head of communications at Niner Europe, who explains the main features of the new RIP 9 RDO in the video above. 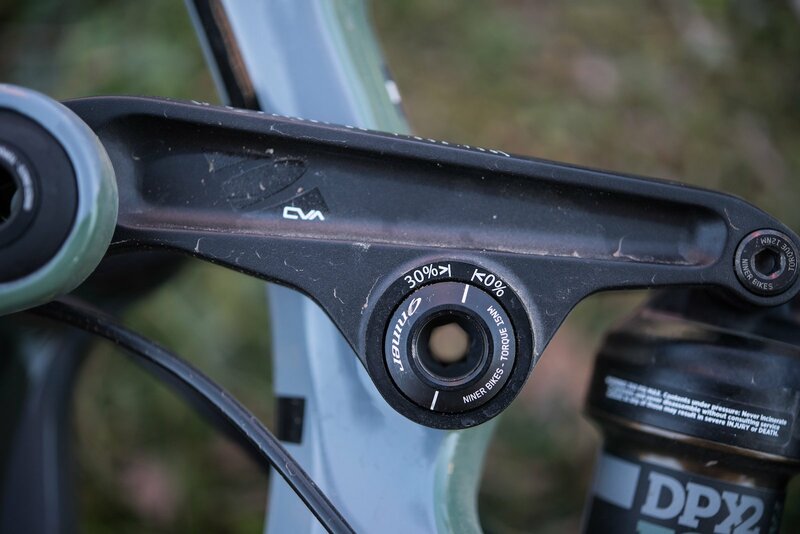 The frame of the RIP 9 RDO is made of carbon fiber with the proprietary Race Day Optimized method (RDO, to be precise), which consists of rigid molds both inside and outside, thanks to which Niner is able to reduce the amount of resin and increase the accuracy of the arrangement of the carbon skins. Furthermore, the structure of the frames with RDO technology is designed to dissipate the energy absorbed by the frame and be released without creating points of greater stress. This utilizes the intrinsic elasticity of the carbon where necessary and optimizing at the same time the structural rigidity of the frame. An example is the cradle that houses the shock absorber which is not merely an aesthetic quirk but has a specific structural purpose. 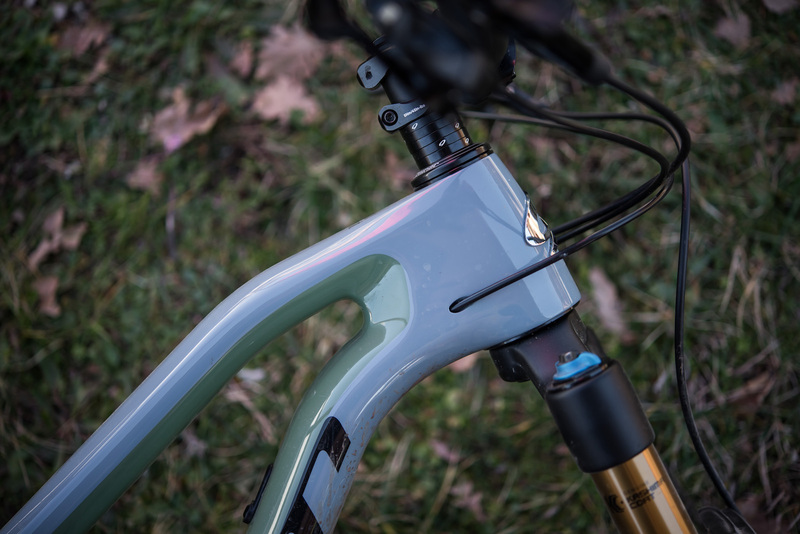 Through a horizontal element it joins the seat tube with the down tube, to significantly increase the stiffness of one of the main areas of the frame subjected to stress, the one that unites the bottom bracket with the rear shock and with the the linkage rods. All this allows Niner to offer a 5-year guarantee on its RDO frames. The suspension system adopted by Niner is called ARC, an acronym for Constantly Varying Arc, developed and patented by Niner. The name derives from the fact that during the travel, the instant center of the suspension is in continuous movement making an arched path. This allows the chain growth and anti-squat quotas to be optimized to offer an appreciable pedaling stability even when the shock absorber is open. The compression curve is designed to offer initial sensitivity, support in the central part and a peak of progressivity in the tail end of the race. 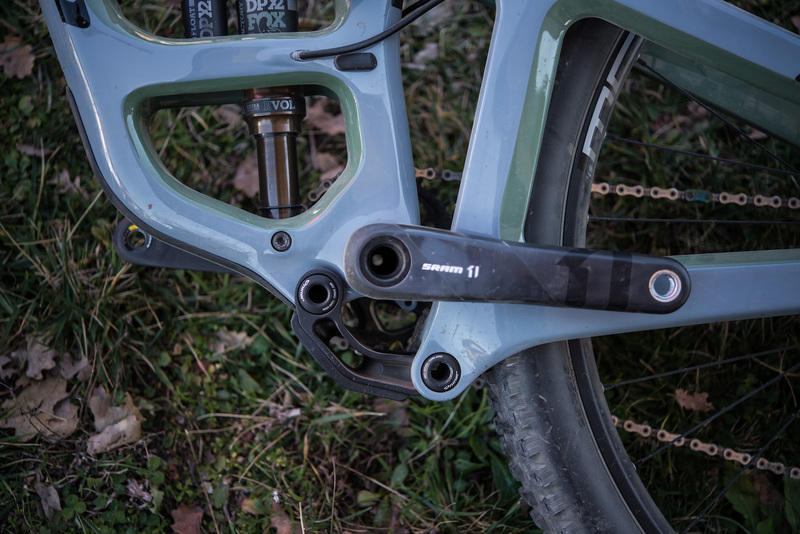 The position of the lower connecting rod, located below the bottom bracket, also makes it possible to gain space for the rear end, which is thus more massive and robust than many quadrilateral systems with shorter linkage rods. 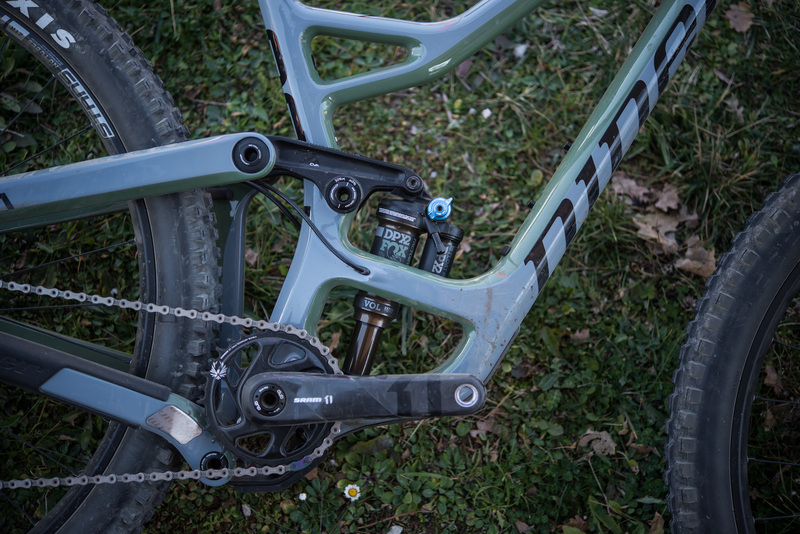 The entire kinematic mechanism rotates on high quality Enduro Max Black Oxide oversized bearings. The upper link of the suspension system houses a simple and useful sag indicator, which indicates the recommended 30% share, easily accessible directly in the saddle. The connection between the upper connecting rod and the rear end is equipped with a flip chip to vary the geometry by modifying the head angle by .7 degrees and the height of the bottom bracket by 7 mm. 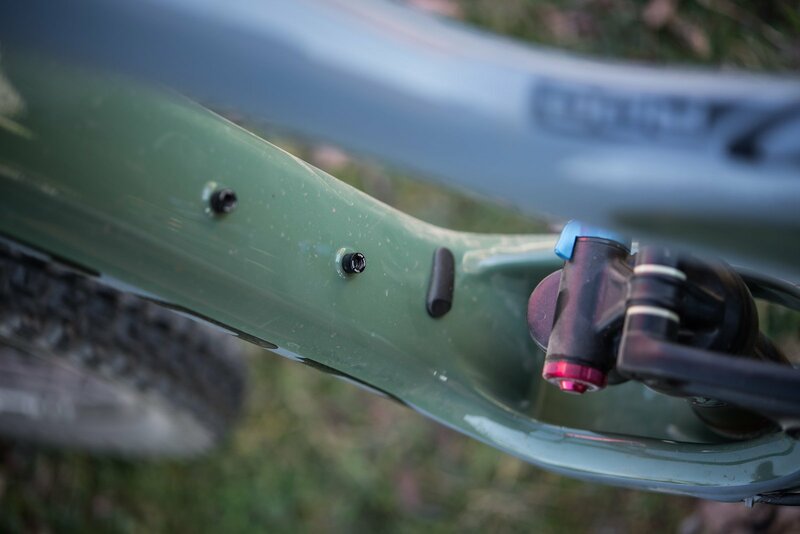 Niner’s care in the construction of the RDO 9 RDO frame is also evident from the details. The lower part of the down tube, the lower connecting rod and the drive side chainstay are protected by sturdy shells integrated in hard rubber. The chainstay is also protected from possible chain jerks thanks to a sturdy steel plate. Regarding chainring, the maximum diameter supported by the RIP 9 is 34 teeth and exclusively single crown. The cable routing is completely internal to the frame and entirely guided by sleeves for greater ease of maintenance and for maximum silence during riding. The frame is also compatible with the electrical cables of Shimano Di2 and FOX Live Valve systems. All frames, regardless of version and size, are able to accommodate a bottle cage inside the front triangle with sufficient space for large water bottles. The bottom bracket shell is threaded and is equipped with ISCG05 support for those wishing to install a chain guide or bumper. 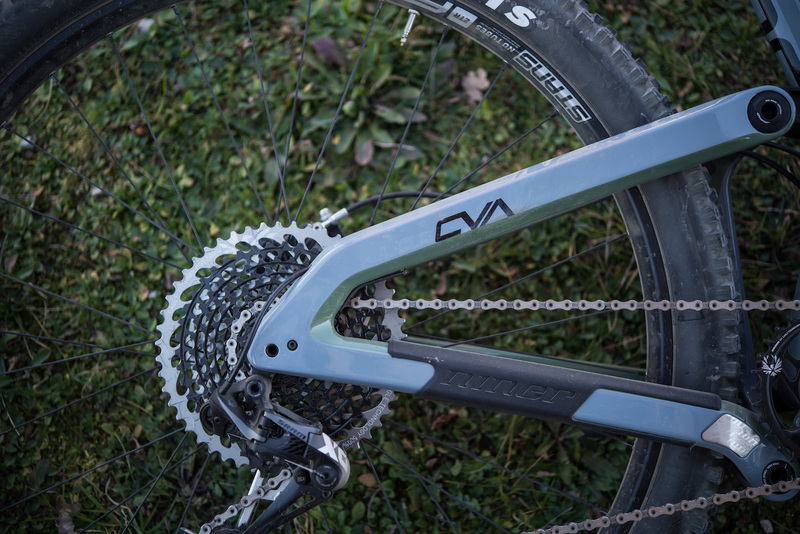 The Massa Marittima trails proved to be perfect for the intended use of RIP 9, with a good mix of elements that allowed us to effectively test both versions proposed by Niner. Personally I worked on testing the 29-inch version while Simona Ferri tested the 27.5 version. 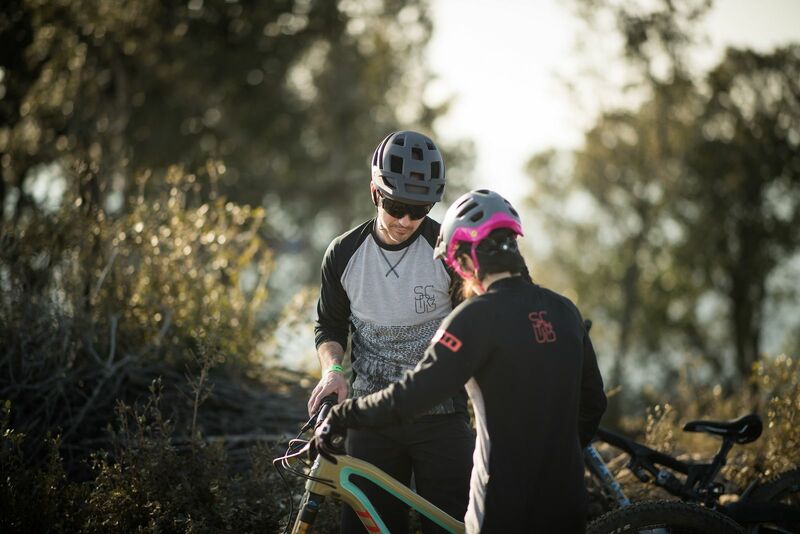 Both bikes are born as bikes sitting between the all-mountain and enduro and thanks to their versatility we can say that they are at ease in both roles. 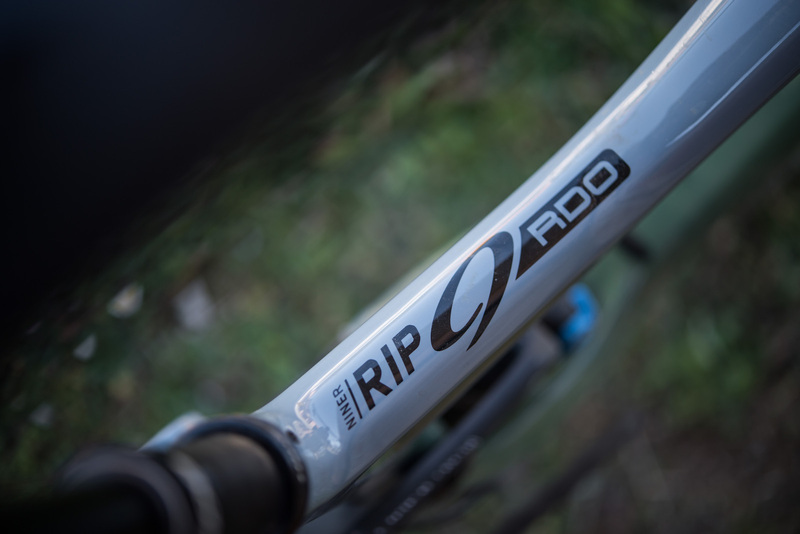 The 29 version continues the lineage of the original RIP 9 and represents its latest evolution while the 27.5 version is an absolute novelty for Niner, surely unexpected given that the Colorado brand owes its name and its reputation to the 29-inch format it has always adopted throughout its range since the dawn of this standard. 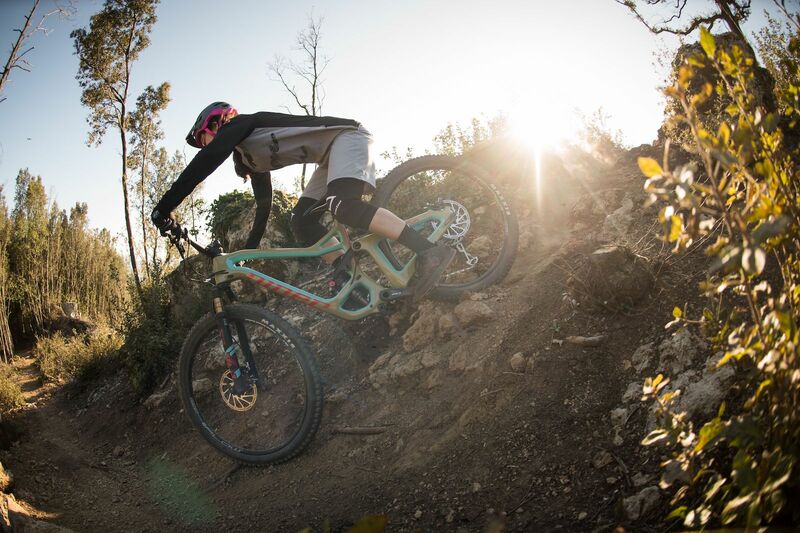 The 27.5 option was introduced by Niner for those looking for the same features as the 29 RIP 9 but with riding characteristics typical of the 27.5 format such as agility, handling and that more reactive and dynamic behavior. 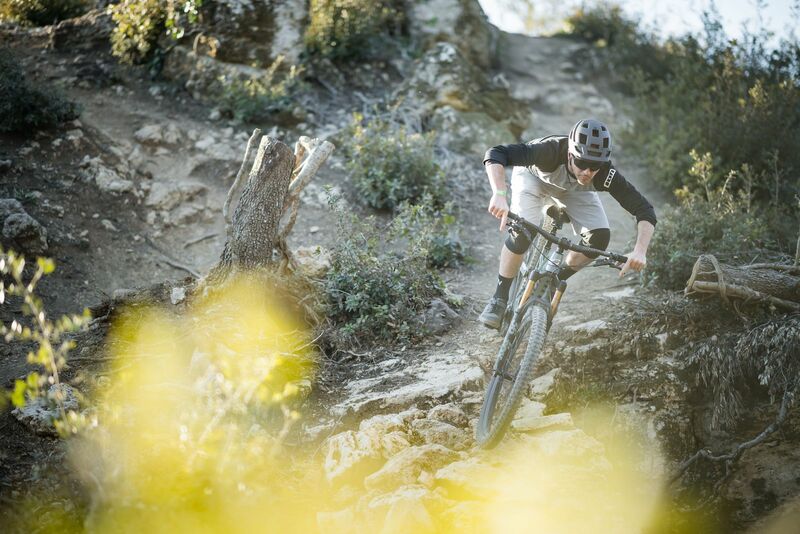 Uphill, the RIP 9 RDO 29 performs well, with a very sensitive and effective suspension in absorbing the rough and at the same time feeling sufficiently stable, even with the shock absorber open. The stability qualities, however, are not so sensational as to be able to afford to ignore the shock absorber lever as it actually improves the yield in long steep hills. In technical climbs the handling and precision are considerable. Downhill, the RIP 9 29 proved to be very stable and fast, precise and reliable in its execution of high speed trajectories also thanks to the monolithic frame, whose rigidity is really perceptible. The rather short rear end also offers exceptional maneuverability and the bike as a whole is extremely fun and intuitive. I had the chance to test the RIP 9 RDO in the 27.5-wheeled version with the flip-chip in the High position and I was pleasantly impressed by revealing exceptional stability and aggressiveness. The geometry in High position was not at all conservative but modern and balanced, while in Low position the dimensions become distinctly aggressive in relation to the intended use of the bike. On the dirt roads that go up to the top of the Monte Arsenti trails I found it effective, stable and smooth, with a comfortable and balanced position in the saddle. On the stretches of technical and bumpy climbs it has demonstrated maneuverability and traction. Downhill, from the first turns, the RIP 9 27.5 turned out to be intuitive, high performance and extremely fun. It is handy and easy to manage, the trajectory changes are fluid and fast. The front is precise and glued to the ground, instilling confidence and facilitating a very active and aggressive ride characteristic. The progressive and effective suspension offers excellent absorption both on small bumps and on big bumps and, together with the geometry and stiffness of the frame, allows the rider to feel in full control of a stable and concrete bike. Three years after the last update of the RDO 9 RDO, Niner has updated the most aggressive model in its range, bringing significant improvements in terms of geometry, suspension behavior and chassis stiffness, also taking care of all the smallest details. The result is a bike of excellent workmanship, solid and effective, easy to ride and remarkably high performance, stable, fun and easy to handle. The dual option of both 29 and 27.5, as far as the brand’s purists can turn up their nose, is realized with criterion, creating with the same project two bikes with features and performances that are almost identical, each offering its own character exclusively in relation to the different diameter wheel.